The Premier Squash League 2018/19 season kicks off later this month with an array of world class players aiming to take the prestigious title to their club. This year twelve teams are competing in two divisions, with the top two in each progressing to the first-ever finals weekend, but only one can become the champion, following in the footsteps of Nottingham in 2017 and St George’s Hill earlier this year. St George’s are fielding much the same team as in the last campaign, with world #1 Mohamed ElShorbagy backed up by Spain’s European Champion Borja Golan and a host of local English talent. World #4 and Commonwealth champion Joelle King heads their women’s nominations (fixtures consist of five matches, one of which must be women’s). 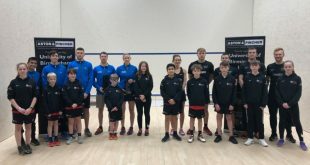 The title-holders’ competition in the Southern Division is likely to come from Tradition @ RAC, also fielding a similar lineup to last year when they made the semi-finals at the first attempt. 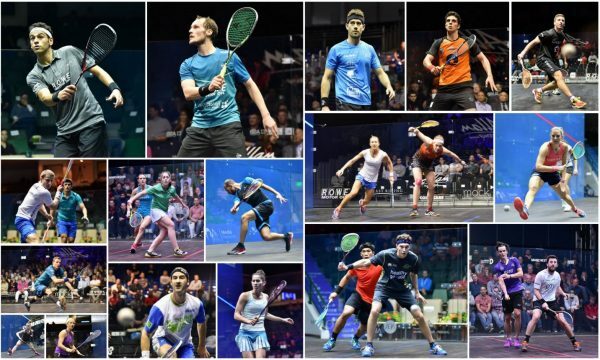 World #10 Kiwi Paul Coll heads their lineup, with PSL stalwarts Daryl Selby, Ben Coleman and George Parker giving them a solid first-choice foursome, with world #10 Alison Waters in the women’s spot. 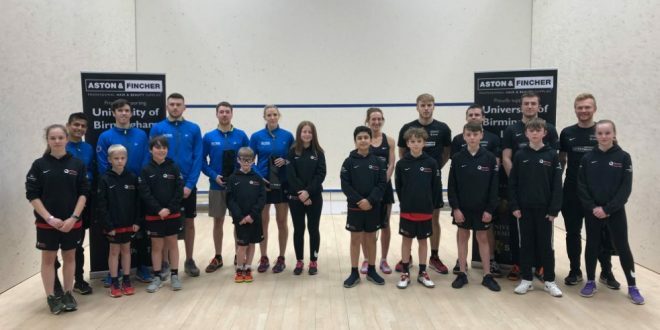 Newcomers Welsh Wizards, based at the National Centre in Cardiff, will be looking to make a statement, and have assembled an impressive squad with Marwan Elshorbagy, Gregory Gaultier and Omar Mosaad their headline signings, backed up by British Champion Tesni Evans. The arrival of the Wizards has brought a change in the rules, with teams now required to field two British, rather than English, players in each fixture. Bexley may have the most international lineup of all, with Egyptians Mohamed Abouelghar and Mazen Hesham their headline men, and having been in playoff contention up to the death in the last two seasons they will be hoping for that final push to the playoffs. Chichester and Coolhurst may have their work cut out to challenge fro the playoffs, but with the likes of Mathieu Castagnet and Omar Abdel Meguid (Chichester), Simon Rosner and Greg Lobban (Coolhurst) available, they certainly can’t be ruled out of contention. Nottingham, attempting to top the Northern division for the third season in a row, also field a largely unchanged squad with the now retired Nick Matthew backed up by Swiss star Nicolas Mueller and a strong English continent. 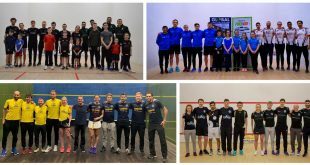 Pontefract, having made the playoffs for the first time last term, again have strength in depth in their men’s and women’s nominations with former world #1s James Willstrop and Laura Massaro their top picks. Newcomers Newcastle have assembled a squad topped by Australia’s Cameron Pilley and Scotland’s Alan Clyne, with a good mix of international and local players in line with their aim of developing local talent. They also boast two married couples, with Olivia Blatchford and Line Hansen in their women’s nominations (although it’s unlikely that all four would play in any one match!). Kenilworth start their second season with an international lineup headed by world #1 Ali Farag and rising German star Raphael Kandra. Sarah-Jane Perry will again be their top woman and having narrowly missed out on the playoffs last season will surely be aiming for that finals weekend. 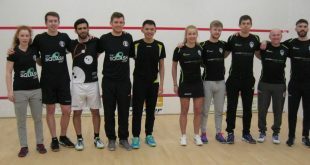 Bristol and Birmingham both have a good mix of international and local players, with Bristol’s lineup, headed by Frenchman Lucas Serme, also having an American flavor with Todd Harrity and PSL newcomer Amanda Sobhy also in the squad. Birmingham have recruited top Aussie Ryan Cuskelly and Canadian Mike McCue to bolster their top end while European Champion Millie Tomlinson comes in at the top of their women’s order. So, this seasons PSL will feature world’s top 3 men, 6 of the top ten, 14 of the top 20 and 20 of the top 30, plus 9 of the women’s top 20. 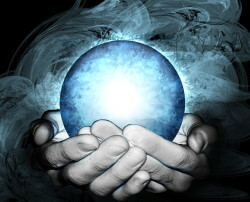 It gets under way with Round One (of ten) on 25th September … stay tuned !!! CB returns for the 2018/19 season, and here are its picks for the finishing league positions ….